Augmented Reality Marketing Conference Dublin : RA’pro sera partenaire ! Comme l’année dernière RA’pro est partenaire de l’Augmented Reality Marketing Conference. Pour en savoir plus sur cet événement qui se déroulera le 29 avril prochain au Croke Park Conference Centre de Dublin, nous sommes allés interroger Alex Gibson … Et il nous a fait une petite surprise pour nos lecteurs ! Hello Alex, just before talk about the second edition of ARMC2 (Augmented Reality Marketing Conference 2) Dublin, could you share with us a sumary of the first one ? Last year’s inaugural conference was a big success with over 125 delegates arriving from 7 countries in total. There were a number of exhibitors too from Ireland, US and Netherlands. The focus of this conference is commercial, with a specific focus on how AR can be used in the marketing area – not just in marketing communations, where it offers huge opportunities for brand engagement, but also in product and distribution too. There is a full review of last year’s event on the following link .. If you have one (or two) thing to keep in mind in the AR field from 2014, what is it ? I think that 2014 confirmed that the big players are now serious about AR – event though the most exciting announcements have just happened. 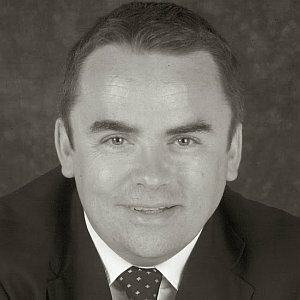 The second thing I think 2014 showed was that the lead markets will be industrial and also from a consumer perspective I think it will be in Out of Home experiences – e.g. Virtual Mirrors in retail, and large-scale AR in entertainment contexts such as theme-parks. 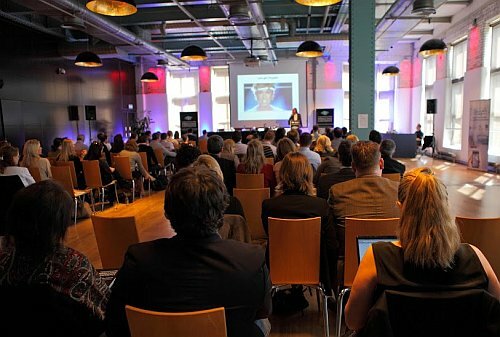 Europe’s inaugural Augmented Reality Marketing Conference that took place in Dublin’s Guinness Storehouse. Do you think, as we heard after CES2015, that AR enters in a era of “maturity” ? AR is definitely not in an era of maturity – at least I hope not! But I do think it’s begining to be taken more seriously by marketers -this is against a context where marketers themselves have to be much more ‘tech-savvy’. As a marketing professional and educator myself, this I see as a profound trend in the marketing profession – and will be to the benefit of AR. Go back to ARMC2 Dublin, what’s news for the second edition ? Well, we have a dedicated Industrial AR track this year. Feedback from last year was that delegates also want to know what are the commercial benefits from AR in industrial contexts such as architecture, construction and engineering. The cost-reductions possible will be explored. We will have many more exhbitors including a major showcase stand from our main sponsor DAQRI. Also this year we will be holding an AR meet-up the prior evening to showcase the technologies- the London meet-up will be moving to Dublin for this event, so lots of extra UK delegates. And I know a number of exhibitors will be announcing new products at the conference, but I can’t say too much on that obviously! Any special gifts for our readers ? If any of your readers are interested, we can do a special non-publicised price of just €195 for the conference – just e.mail me to get a special code alex@armarketing.org and we also have a very limited number of rooms at the 4* Croke Park Hotel directly opposite the conference venue for just €99 including breakfast. And I will offer you one free ticket to use among your readers if they use the hashtag #armarketing15 and your own Twitter account Gregory…how does that sound?? It’s great ! Thank you Alex !! Readers, you’re ready ? Use the hashtag #armarketing15 and name @ar_fr in one of your tweet between february 23 and march 23 to have a chance to win a free ticket to ARMC2 !! Of course playing is a engadgement to come ! Rendez-vous le 29 avril prochain à Dublin !